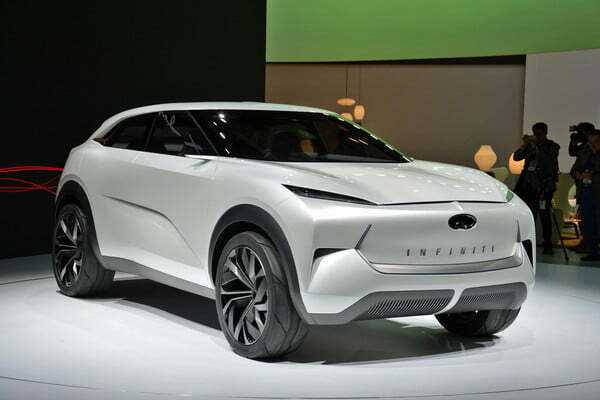 The New Infiniti QX Inspiration Concept Embodies Electrifying Edifice - Photos - AutoReportNG "AutoReportNG-The No 1 Car Blog In Nigeria That You Can Trust - AutoReportNG"
Setting a precedent for its first fully-electric production car, the Infiniti QX EV crossover concept is a serene expression of Japanese design principles. 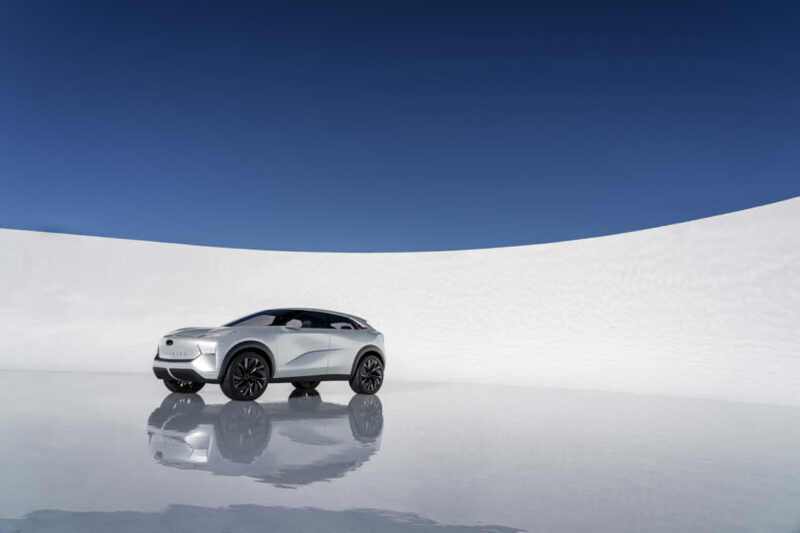 referencing the winter snows of Mount Fuji in a sheen of liquid white pearlescent paint, the SUV’s represents the automotive brand’s fully electrified future – and it's wonderfully minimal. 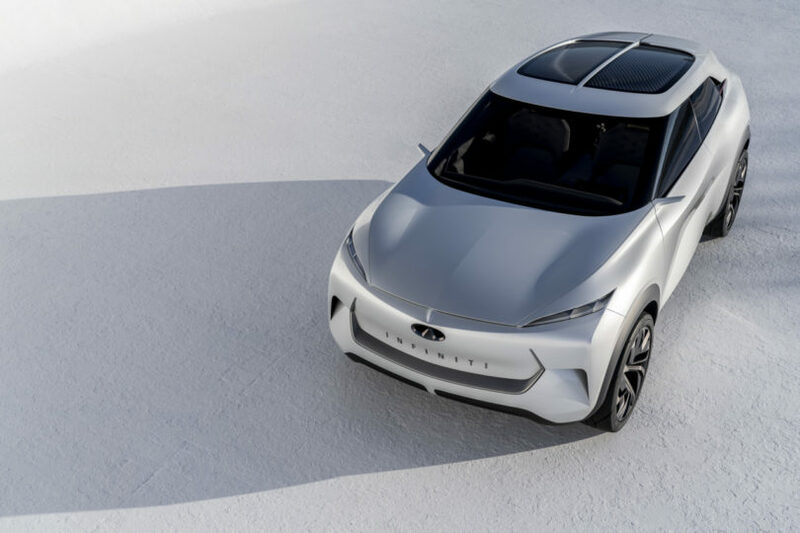 Its cab-forward, grill-less design features a short front and rear overhangs (855 mm and 945 mm, respectively) and a shorter hood. 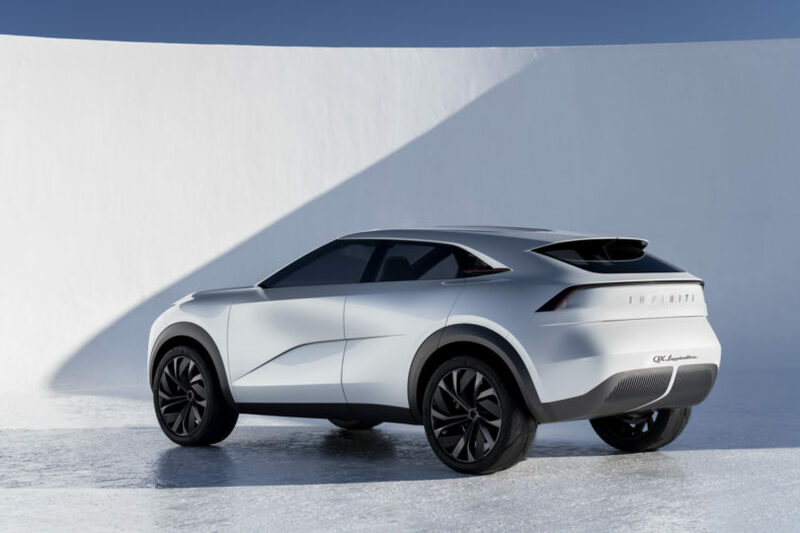 the concept’s overall length is 4,650 mm. 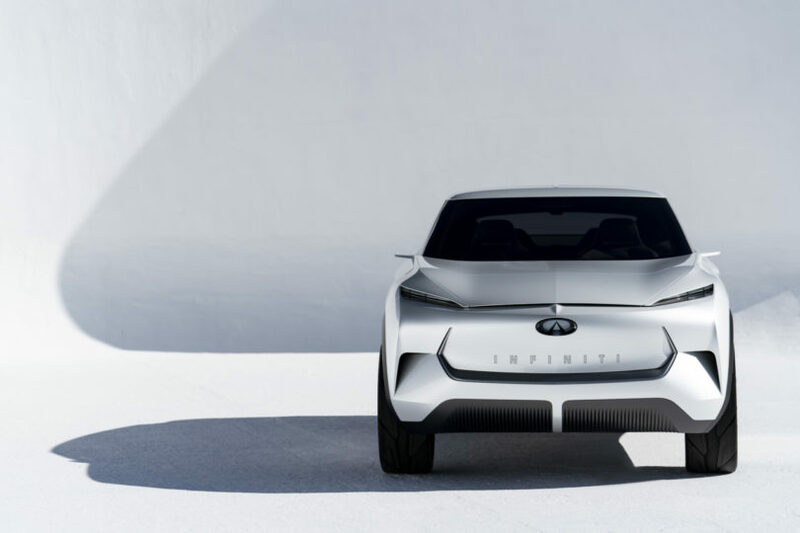 according to Infiniti, locating the powertrain low down in the body and between the axles (2,850 mm apart) enabled designers to create a bold and powerful lower body, blending its expansive surfaces with new proportions. 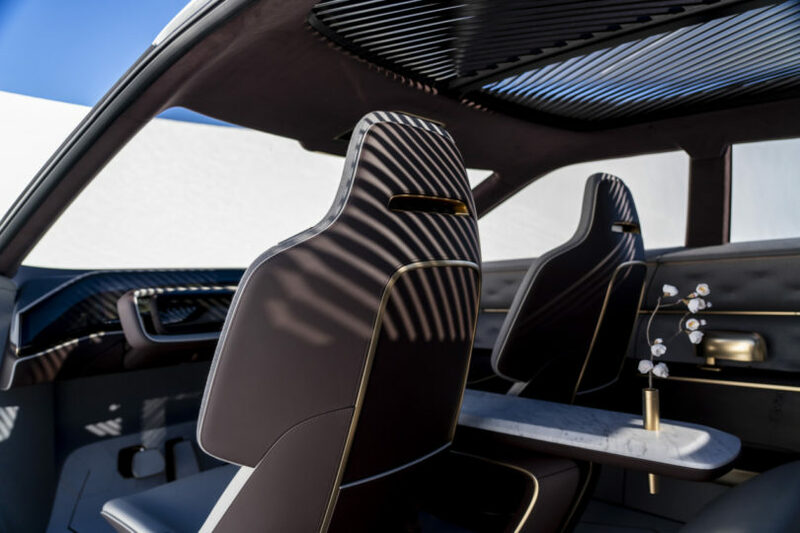 The sleek, long roofline peaks at 1,630 mm in height, at a point directly above the front row of seats, then flows downwards into the car’s aerodynamically efficient Kammback rear. 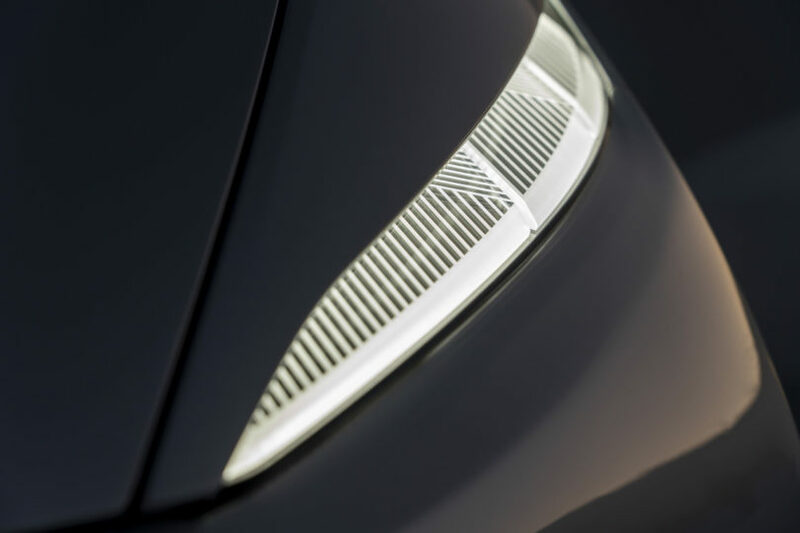 a closer look at the thin headlamp strips reveals laser-like etchings, with a highly technical pattern echoed throughout the interior and exterior. The pattern is also featured in the wing-shaped light strip that spreads across the tailgate. 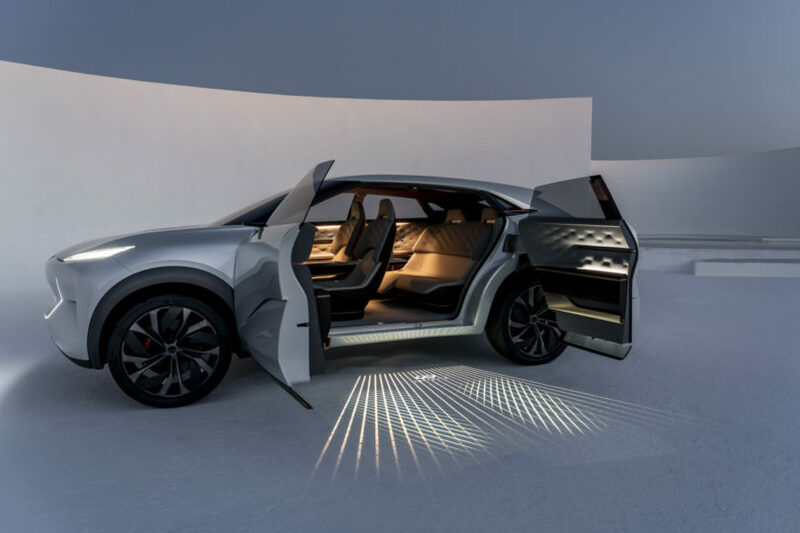 The origami-inspired exterior draws on the Japanese spatial concept of ‘Ma’, with a focus on the open spaces between lines. 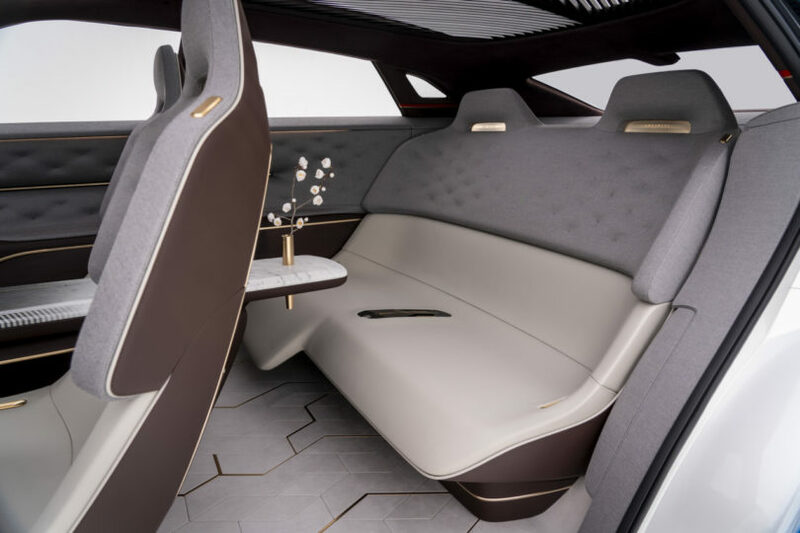 this Japanese DNA continues into the cabin where the interior of the QX inspiration concept is hand-crafted using traditional techniques and a choice of materials inspired by a subtle Japanese sensuality. 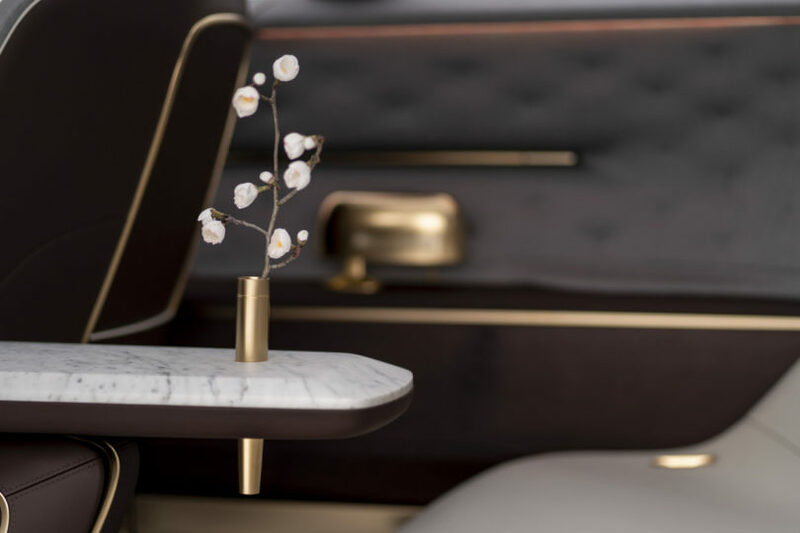 The concept’s lounge-like interiors are influenced by ‘Omotenashi’, the Japanese approach to hospitality. 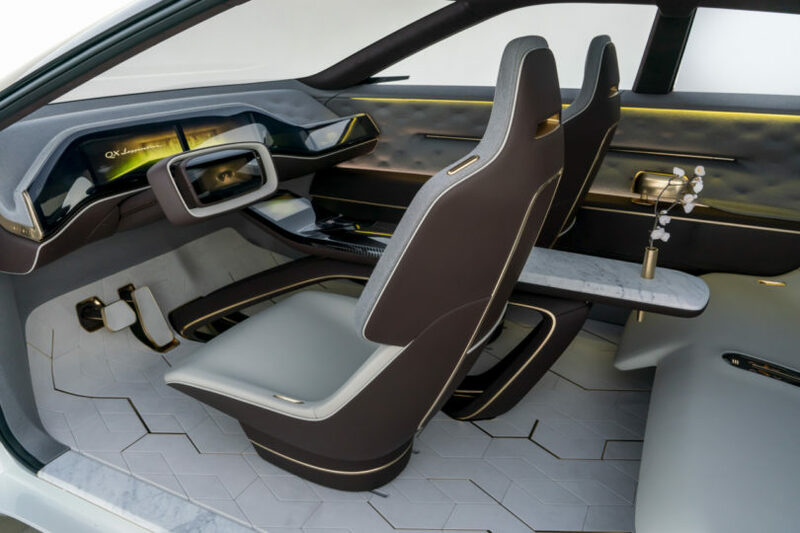 The cabin incorporates technologies to create a welcoming environment, while assisting drivers and connecting occupants to the world around them. 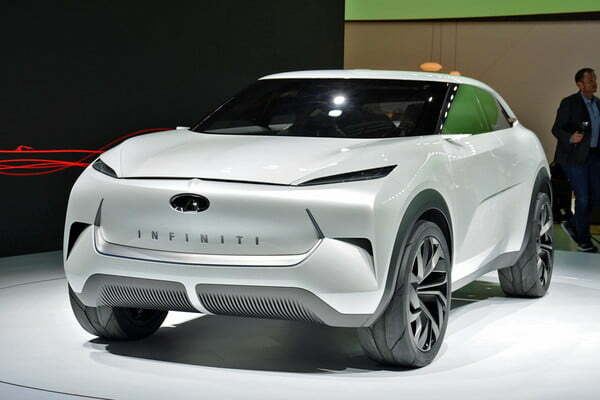 Further reference to the vehicle’s Japanese DNA can be found in the three colors used across the exterior. 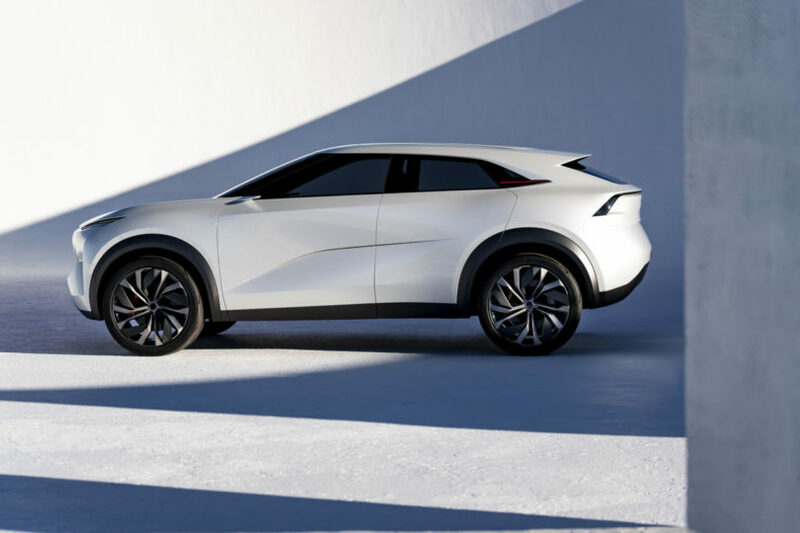 The QX inspiration concept is finished in liquid pearlescent paint, inspired by the winter snows of Mount Fuji. In addition to the Mount Fuji-inspired pearlescent paint finish, highlights on the D-pillar and wheels are finished with gold and vermilion – inspired by Japanese Urushi lacquerware and gold Kintsugi ceramic work.